Summer has finally arrived in famous Ferguson. The past month has seen several of us flipping to the book of Genesis looking up plans to build an ark, but today was hot and steamy like we would expect a July day to be in the midwest. Unfortunately a month of rainy days and a lack of sun resulted in an unprecedented crop of mildew on the clapboards and beadboard underneath the front porch roof that runs the entire length of our 1890 home. So Poppy spent the day removing shutters and furniture from the porch, then armed with a 5 gallon bucket filled with a bleach-water-detergent mixture, a pressurized sprayer loaded with the same, a deck brush, safety goggles, while dressed in the oldest, rattiest clothes I could find, commenced doing battle with the mildew. 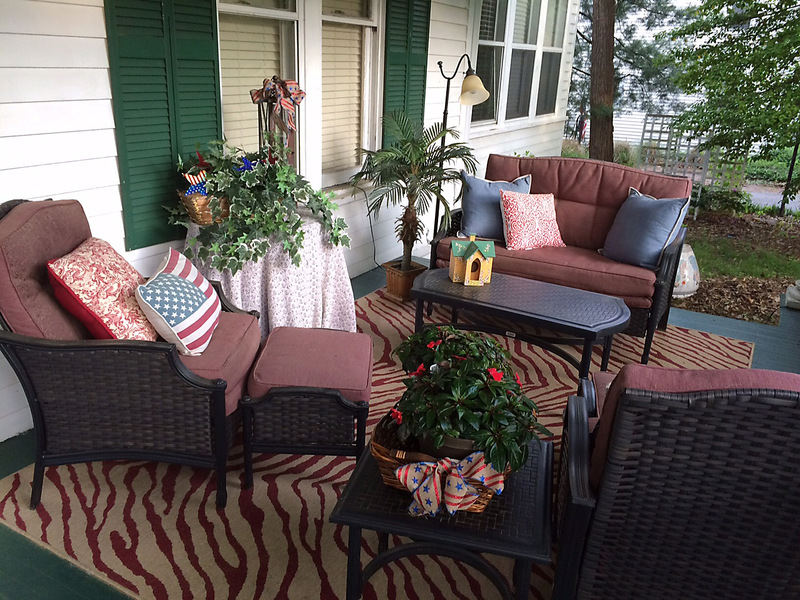 By late afternoon, Poopy had won, the mildew was banished and I was famished! What to make … it had to be cool, it had to be tasty, it had to be easy! 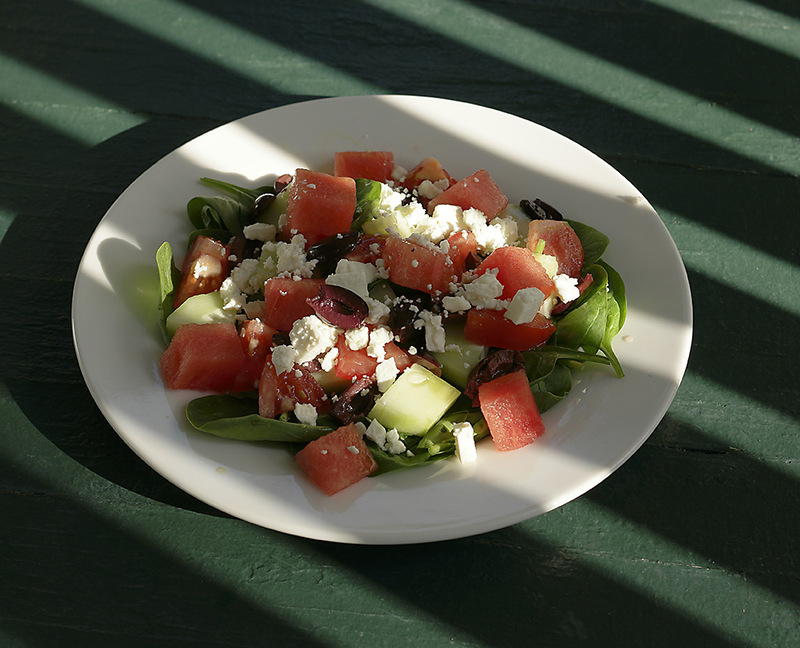 Enter Poppy’s take on the Greek salad with some summertime touches. 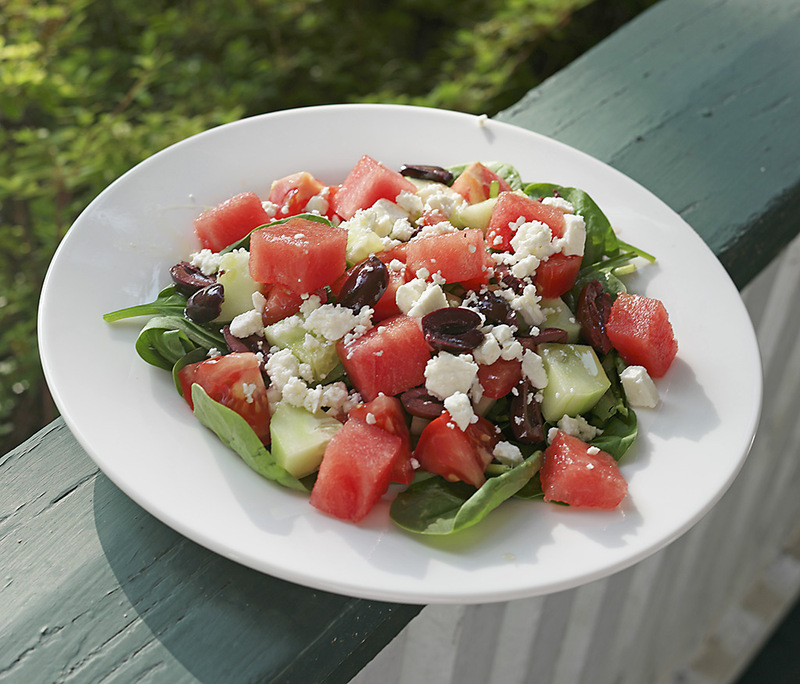 A bed of baby spinach provided the foundation, followed by chunks of cold peeled cucumber, diced ripe tomatoes, halved Kalamata olives, cubes of seedless watermelon all drizzled with Extra Virgin Olive Oil mixed with a little garlic salt and pepper then topped with crumbled feta cheese. I served the salad with strips of lightly toasted naan bread. The resulting flavors and freshness were the perfect end to a day that had me thinking about the joys of condo ownership more than once.